The Zohrab Center opens its doors to college students who serve as interns in the center throughout the year. The interns undertake many different responsibilities, most importantly, cataloguing books in the Zohrab Center’s impressive collection. While all of the English books in the Zohrab Center have been catalogued (approximately 6,000 books) there are still close to 8,000 Armenian books left to catalogue. This catalogue will be accessible on-line through the Zohrab Center website. Other intern tasks include digitizing videos and assisting with research and projects at the Zohrab Center. 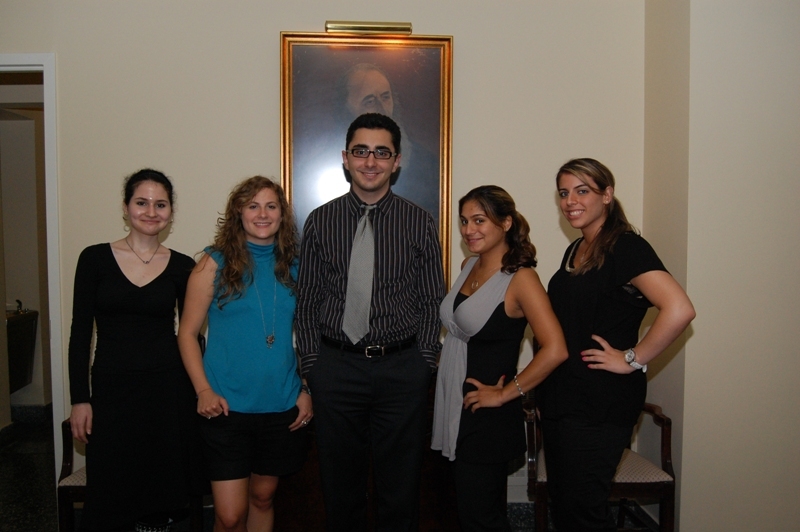 Other interns include Olivia Whitney Drabicki, Artlet Korogluyan, Greg Kirkorian, Gloria Munoz, Deanna Cachoian-Schanz, Levon Vrtanesyan and Raffi Wartanian.